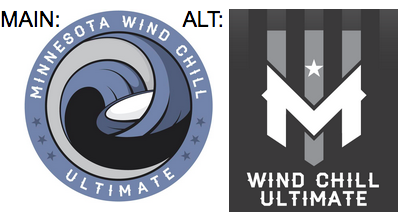 Both "wind"-monikered AUDL teams have recently updated their brand. 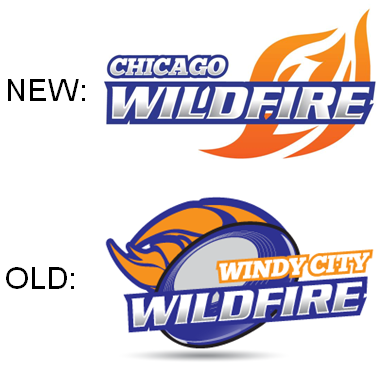 Windy City Wildfire converted to its city name (Chicago), and updated their logo. See below for the new 'Chicago' logo compared to the former 'Windy City' logo. Minnesota Wind Chill added an alternate "chill" logo with their existing "wound up" main logo. RELATED: 2013 Logo reviews of Windy City . Wind Chill . Washington Area Frisbee Club (WAFC) announced via their membership e-newsletter that Scandal will be presented with a Ceremonial Resolution by the D.C. Council on Tuesday, December 3, 2013. This resolution is in addition to DC Mayor Gray's Proclamation recognizing Scandal for winning the 2013 USA Ultimate National Championships. When: UPDATED 10 A.M. on Tuesday, December 3rd. 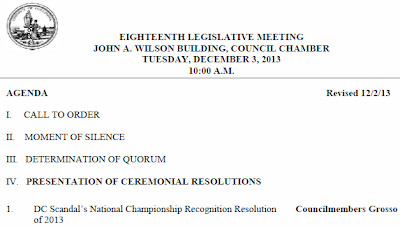 The ceremonial presentation of the resolution will take place at the beginning of the Legislative Meetings, around 10:45 A.M. Location: D.C. Council chambers @ Wilson Building, 1350 Pennsylvania Ave NW. Request: WAFC requests attendees wear an ultimate jersey, and show DC councilmembers that "the DC Ultimate community is strong and large." In early November, the Council of the District of Columbia unanimously passed a ceremonial resolution recognizing Scandal's 2013 USA Ultimate National Championship. The resolution was introduced by Councilmembers Yvette Alexander (Ward 7), David Grosso (At-Large), & Tommy Wells (Ward 6). The City Council honored the Washington Nationals in a similar way this past April. 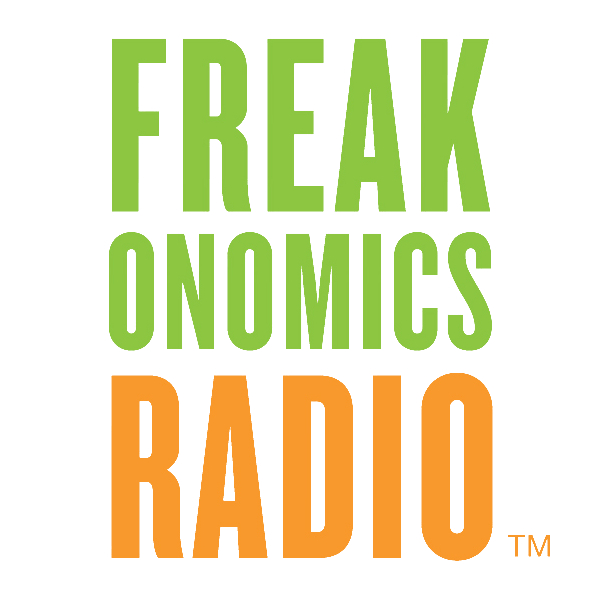 Freakonomics Radio is always so good, though their portrayal of Ultimate is FREAKIN' AWESOME! What Do Skating Rinks, Ultimate Frisbee, and the World Have in Common? ...The sport of Ultimate Frisbee offers another interesting lens on how people self-police. In most cases, the game has no referee, instead relying on players to make all the calls. Even the official rules refer to players being "morally" bound to uphold "Spirit of the Game" when they play. 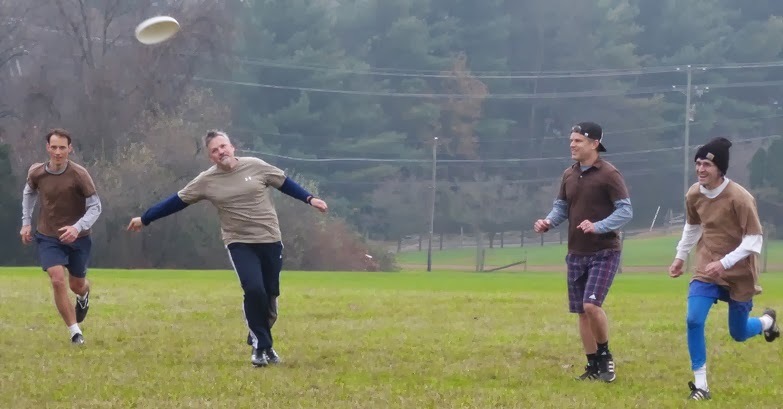 Jody Avirgan, a self-professed Ultimate fanatic who plays for PoNY & NY Rumble, coherently walks the host Stephen Dubner through the particulars, and talks about how the sport might be different if it did have refs. Hi, Lois & the whole Flagston family, rightfully, honor the Frisbee (née Frisbie) on Thanksgiving. 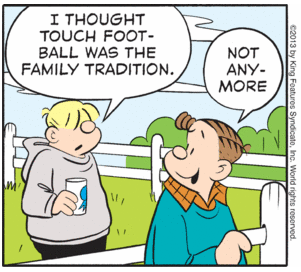 Thirsty Thurston: "I thought touch football was the family tradition." Hiram [tossing a righty toss to Chip (in red), or overthrowing Ditto (in blue)]: "Not anymore. The Flagstons play Ultimate Frisbee on Thanksgiving." 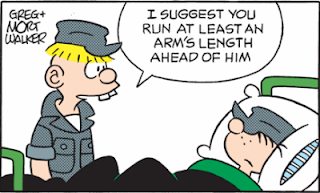 Private Zero to Beetle Bailey: "I suggest you run at least an arm's length ahead of him (or her)." 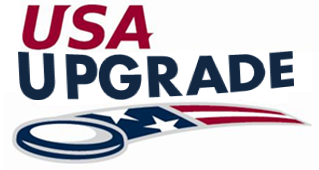 Now everyone can be a qualified coach at Ultimate practice! Proven coaching drills for Ultimate, literally, at your fingertips. Info: "There’s a Drill for that." Created and designed by world and national champion Ultimate players and coaches, UltiCoach brings you the best Ultimate training and drills available. View over 50 detailed drills in 7 categories, each expertly detailed and explained. Includes 24 built-in custom practices for league teams, club teams, full day clinics, and pairs. If you want to improve your Ultimate game, this is the only app that you need. Beautifully designed with an easy to use interface - with this app on your phone, you’ll be a force on the field. The blog was inaccessible by anyone, including Sludge. Moreover, there was a threat of deletion. 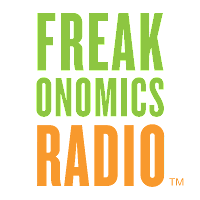 During this ordeal, many people have supported the blog's return. And, finally today, Blogger reviewed Sludge's appeal & "determined your blog was mistakenly marked as a Terms of Service violator by our automated system, and as such, we have reinstated your blog." THANK YOU to Blogger, Ultimate Problems, The Hot One, Brian Reilly, Craig Stephen, Get Horizontal, Bama Secs, Boomer, Glenn Poole, Trey Katzenbach, Jimmy Leppert, Philadelphia Phoenix, UltiCards, Ultimate Rob, SKYD magazine, and countless others who supported the reinstatement. 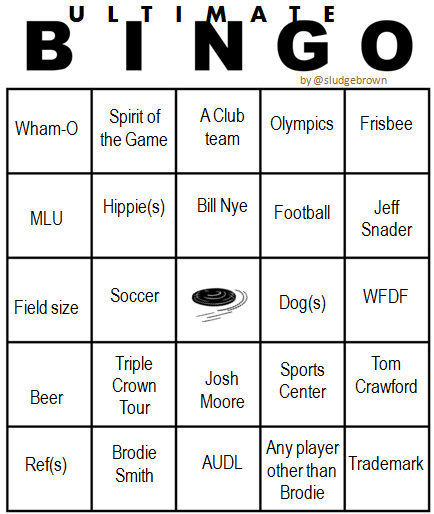 Major League Ultimate was a featured sport on The Jones and Moseley Show, which is . The "JoMo Show" runs on Fox Sports 1 (FS1) - a direct competitor to ESPN - is a sports-oriented cable channel which launched in August 2013. Flying Disc Creation: 1938. Walter Morrison. Invented after tossing a cake pan back and forth with his wife. Actually, it was a popcorn tin lid that the Morrisons flung. Invention of the Rules: 1968. Joel Silver. Developed the rules at Columbia High School in Maplewood, NJ. November 6, 1972: Was also the 103rd anniversary of the 1st organized football game. Which was also played by Princeton and Rutgers. Play: Player can advance disc by throwing complete pass, or Tipping disc without the disc first touching the ground. Average game score is 15 points. 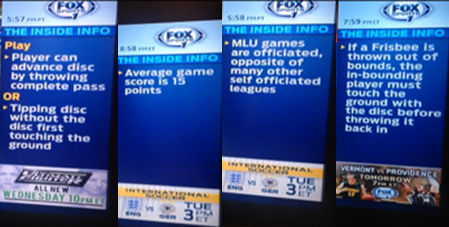 MLU games are officiated, opposite of many other self officiated leagues. 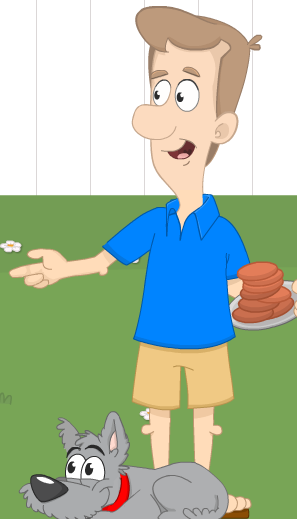 If a Frisbee is thrown out of bounds, the in-bounding player must touch the ground with the disc before throwing it back in. 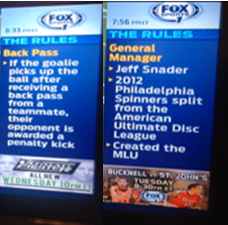 "Invalid Pass": When player hands off pass without throwing the pass. "Marking": Guarding the thrower within 10 feet of the thrower's pivot spot. 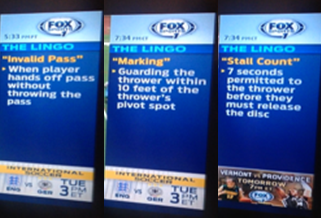 "Stall Count": 7 seconds permitted to the thrower before they must release the disc. Back Pass: If the goalie picks up the ball after receiving a back pass from a teammate, their opponent is awarded a penalty kick. THERE IS NO GOALIE nor BALL IN ULTIMATE!!! Wrong sport...soccer. General Manager: Jeff Snader. 2012 Philadelphia Spinners split from the American Ultimate Disc League. Created the MLU. Snader wasn't just the GM of the 2012 Spinners, he was the owner & coach. 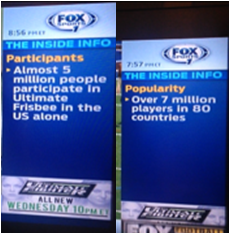 Participants: Almost 5 million people participate in Ultimate Frisbee in the US alone. Popularity: Over 7 million players in 80 countries. World Event: MLU has yet to be entered into the Olympics. Has been a medal earning sport at the World Games since 2011. Er, Flying Disc (Ultimate); not MLU. 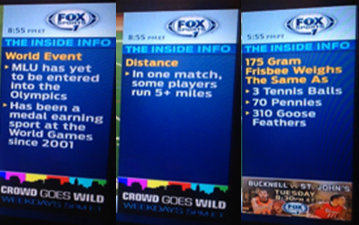 Distance: In one match, some players run 5+ miles. Seems like a lot of running! Data source? 175 Gram Frisbee Weighs the Same as: 3 tennis balls. 70 pennies. 310 goose feathers. While 495 traffic delayed arrivals to Lake Fairfax, playing down one player allowed for less traffic in the cutting lanes. Sludge played 5:1 for the first 8 points and kept competitive; 4-4. Joe's low loft to Rachel, Henry to Matthew, Matthew to Chris. At 5:2, Sludge continued playing sticky defense in the first half. Yet, break chances were not capitalized on. Down 6-8 at half, Sludge was now at full (4:3) strength. Sludge forced their multi-throw zone which was countered by Furry Tractor's new found patient offense. Except for one point against a zone defense, brown could not find a good flow on offense. Sludge's forward progress was impeded as if the traffic jam had spilled onto the ultimate field. After scoring 4 points in the first 8 points, Sludge managed only 5 scores in the last 16 points. Loss 9-15. "Playing with only 6 players might reduce our chances to advance" - Chris H.
"There's not enough wind to play person defense." - Mike F.
TMZ Sports caught up with Joel Silver for a 30-second conversation about Ultimate Frisbee. Props to the interviewer who knew his Ultimate history and ESPN's coverage. Here's a transcription of their cordial conversation. TMZSports: Is it true you invented Ultimate Frisbee? Joel Silver: (slight pause) Um, more or less. TMZS: At Columbia High School? JS: I mean, it's on the internet. You can read the whole story. But, I mean...it's a long story. But, we kinda put that game together, and, I'm proud of that. I'm proud of that. TMZS: Every college that has it should erect a statue of you. I love that! I love watching on ESPN...the Championships. JS: Well, thank you very much. TMZS: Do you watch it? TMZS: Have a good night. Sam Shoyer, an Ultimate player for Bethesda-Chevy Chase High School in Maryland, researched how many pro ultimate team names are truly original and shared his findings. The Flamethrowers name is definitely, um, original. Vancouver Riptide . Seattle Raptor(s) . San Jose Spiders . San Francisco FlameThrowers (represented by Flames) . SLC Lions. The Radicals name is totally original. The Wind Chill is semi-original and the spelling of Mechanics is, well, different. Minnesota Wind Chill . Madison Radicals . Windy City Wildfire . Detroit Mechanics . Cincinnati Revolution. The Empire name is truly unique. Had to go international for a Phoenix match, while Montreal's name matched with some assiStance. DC Breeze . New York Empire . Toronto Rush . Philadelphia Phoenix . Rochester Dragons . New Jersey Hammerheads . Montreal Royal(s). 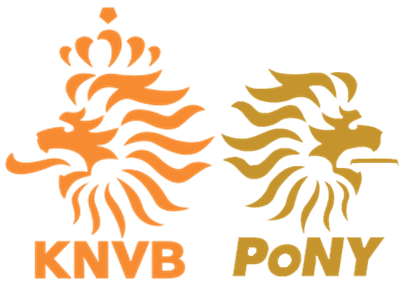 Inspired by the excellent logo redesign of NFL teams as European soccer clubs, what if Ultimate team logos were transformed using soccer (football) teams? Similar to Angry Birds, except the birds are burgers & you're throwing them like a Frisbee, not from a slingshot. 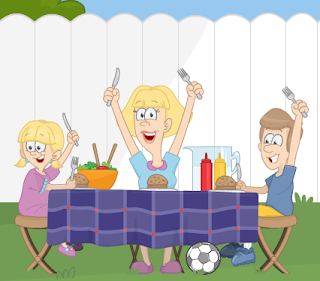 How to play: To win points, throw (backhand) hamburgers (discs) onto the grill before the gas runs out. 2. Turn on the gas. 3. 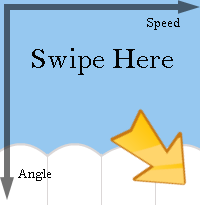 Start throwing burgers by swiping screen were shown. 4. Turn off gas before it runs out. Game Ends: Either when player turns off the gas, or when gas runs out. 1) The pressure gauge on the tank. 2) The PropaneGasGenie(R) on the side of the tank. --> Play Hamburger Frisbee online or on smartphones. Reaction after landing a backhand on the grill. As if the professional sport of Ultimate wasn't alternative enough. The Major League Ultimate Shop unveiled a new product with an "alternative" logo for the 2013 MLU Champion. 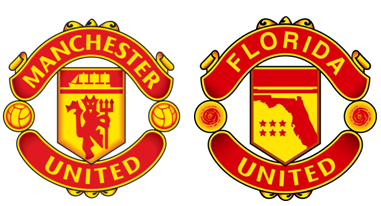 Per an MLU rep, alternative logos were recently designed for the Puma jerseys, to be worn in the upcoming 2014 season. More logos are expected soon, but for now, only one team's alternative logo has been released - Boston Whitecaps cap. Get it...? A white cap for the Whitecaps! This old online survey - Professional Ultimate Coming to Toronto - reveals the Toronto Rush considered the 'Toronto Wildfire'. 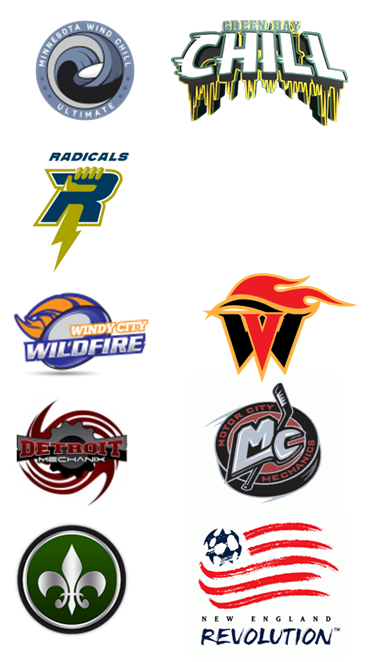 As we know, Wildfire became the team name for AUDL's Chicago (Windy City) and Toronto was inspired locally, taking the Rush name. 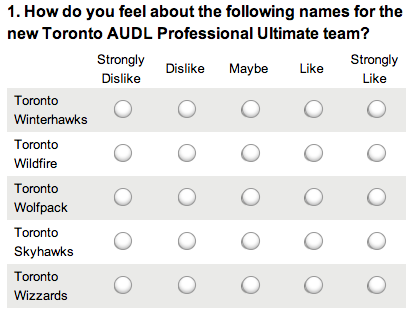 First question: How do you feel about the following names for the new Toronto AUDL Professional Ultimate team? The survey was recently discovered, yet its distribution is unavailable/unknown. If valid, then it's estimated to have been created prior to April 2012. Besides the Wildfire name, the survey shows other possible names Toronto considered. 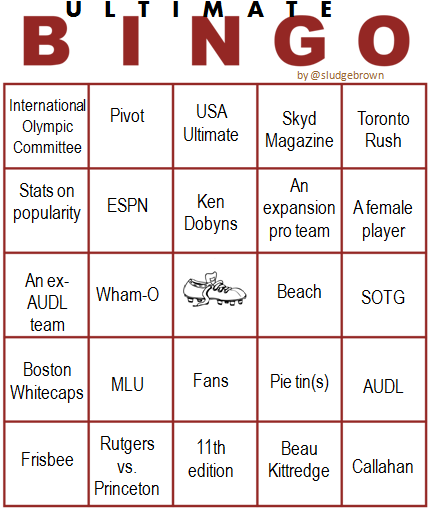 There are two potential names with "hawks," which somehow later nested with MLU's Vancouver Nighthawks. Survey Intro: Professional Ultimate is coming to Toronto! The American Ultimate Disc League (AUDL) is expanding and we'll have an expansion team playing in the 2013 season. We want your help in selecting a great team name and choosing a venue to call our home field. Thanks for taking a few minutes to give us your feedback! Question 7: Thanks so much for your feedback, can you tell us a little about you? 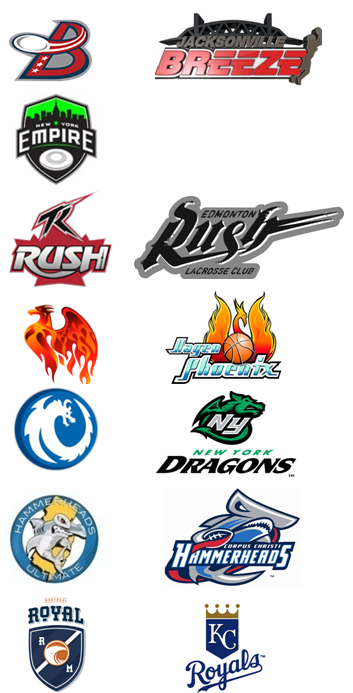 Royal logo (center), surrounded by the 4 MLU teams. 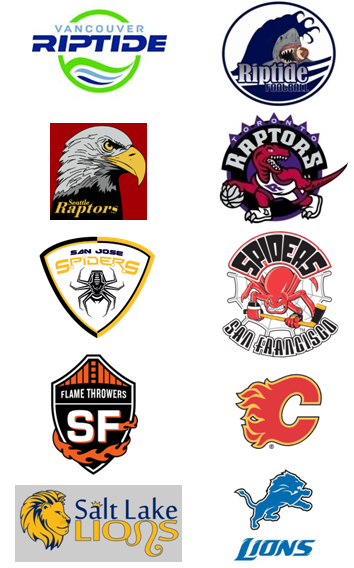 the AUDL team's logo looks very shield-y, in a MLU Eastern Conference kind of way. 0-0, 1-0, 4-2, 4s, 6-7, 8-7, 8s, 9-10, 10s, 11-10, 13-11, win 14-11 versus Ultimallers. Sludge began with a break which buoyed the low expectations entering the game. Morning wind conditions plus fresh legs favored Sludge's defense forcing of multiple throws. The one and only time the D changed to person (3-2), created a turn and a score. Cuts to open space during point and efficiency near the end zone powered Sludge O. David-to-Matthew-to-Rachel, 1-0; Brian's zippy flick to Nigel, 2-2; Russ' rundown shoestring catch, 5-4; Michael's "honey pass"[HP] to Rachel, 6-4; Bucci and Christy assisted for the next score, 7-7. Up one at half (8-7), Sludge traded points until Sludge went up 12-10. David's denials of deep throws facilitated the next brown points, win 14-11. 0-0, 0-1, 2s, 4s, 6-4, 7-8, 8s, 9s, 11-9, 12s, 13-12, loss 13-15 versus Sundays at Six. What a close game throughout - a tied score 9 times. While Sludge's early cuts were denied, red zone execution was excellent. Nigel's tip catch, 1-0; Mike's "HP" to Christy, 2s; Matthew's backhand to Sarah, 3s; Andrew score to Brian, 4-3; Charlie to Sarah; 6-5. The diminished wind and S@6's catch-and-throw movement perplexed Sludge's zone. Plus, the inability to contain and defend downfield throws hurt Sludge. Sludge took its first second-half lead with a score from Steve to Nigel, 9-8; Brian snagged a Callahan, 10-9; Nigel threw a BACKHAND to Rachel, 11-9; Michael to Mike; 13-12. At 13s, Sludge turned over the disc and, eventually, the lead. Loss 13-15. 0-0, 6-0, 6-3, 8-3, 9-6, 11-7, win 15-7 versus Pignition. Playing a mix of 4:3 & 5:2, Sludge flowed to a 6-0 lead. Nigel to Sarah, 2-0; Charlie's high-release two-handed helicopter to Russ, 3-0; Mike's no-spin hammer to Michael, 5-0. After David's S-curve pull and Russ' 1-yard incompletion into the turf meant for Christy, Sludge dropped the next 3 points. Steve righted the ship by throwing a score to take half; 8-3. Sludge carved up Pig' thanks to open receivers - Andrew to Henry to Bucci, 10-6; Michael to Henry to Russ, 11-7. Win, 15-7. #2 out of 4 in Pool C. Advance to next week's tournament. What's more fun than reading an Ultimate magazine article? 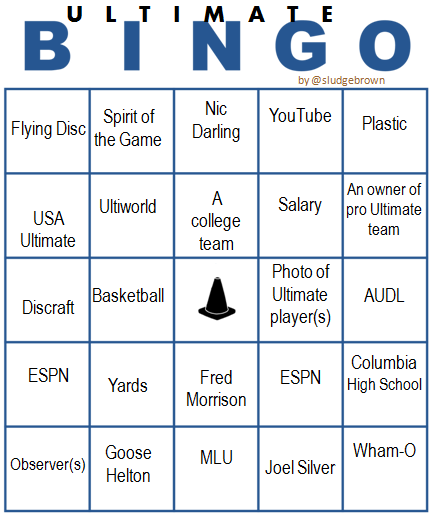 Playing Ultimate Bingo, of course! 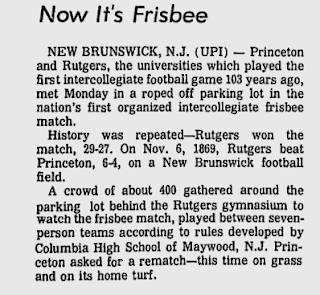 NEW BRUNSWICK, N. J., Nov. 6 -- On the same site where, 103 years ago to the day, Rutgers and Princeton squared off in college football's first game, the same two colleges clashed today in what was billed as the first intercollegiate game of Ultimate Frisbee. NEW BRUNSWICK, N. J. (UPI) - Princeton and Rutgers, the universities which played the first intercollegiate football game 103 years ago, met Monday in a roped off parking lot in the nation's first organized intercollegiate frisbee match. History was repeated - Rutgers won the match 29-27. On Nov. 6, 1869, Rutgers beat Princeton 6-4 on a New Brunswick football field. 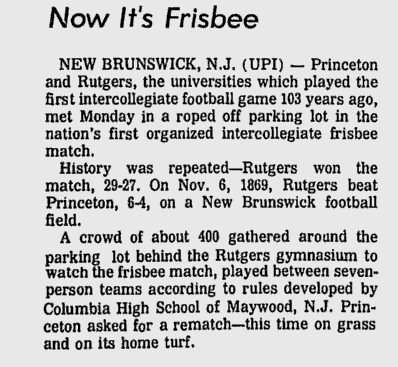 A crowd of about 400 gathered around the parking lot behind the Rutgers gymnasium to watch the frisbee match, played between seven-person teams according to rules developed by Columbia High School of Maywood, N.J. Princeton asked for a rematch - this time on grass and on its home turf. Rob Ford said Tuesday that he loves his job and will stay on as mayor of Toronto despite admitting for the first time of a regrettable act on the Ultimate field. After the D.C. Council passed a resolution to rename the Washington Redskins NFL football team on Tuesday, they continued with their DC sports agenda. 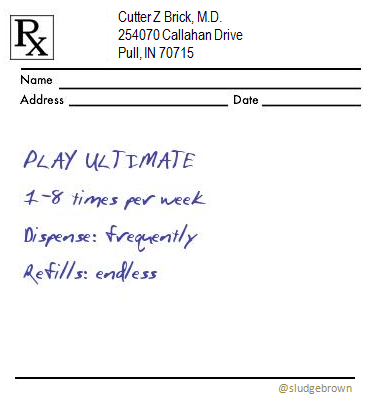 Responding to complaints submitted by disgruntled constituents, the legislative branch then addressed DC's professional Ultimate team names. "The Breeze term is very weak for a team name," a Councilmember (Ward 9) said. "My niece's youth soccer team name - the Puppies - are on par with gentleness." Asked about the DC-area's other pro Ultimate team, an At-large member said, "The Current is just nondescript. If District residents wanted abstract, we would visit an art museum." The bottom line for the D.C. Council is neither of these teams can be represented by a mascot, and therefore hurts job creation. A resolution seeking to improve names of Washington, DC-based pro Ultimate teams expects to pass, after which it will be forwarded to teams owners Aaron Foreman (Breeze) and Mark Evangelisto (Current). 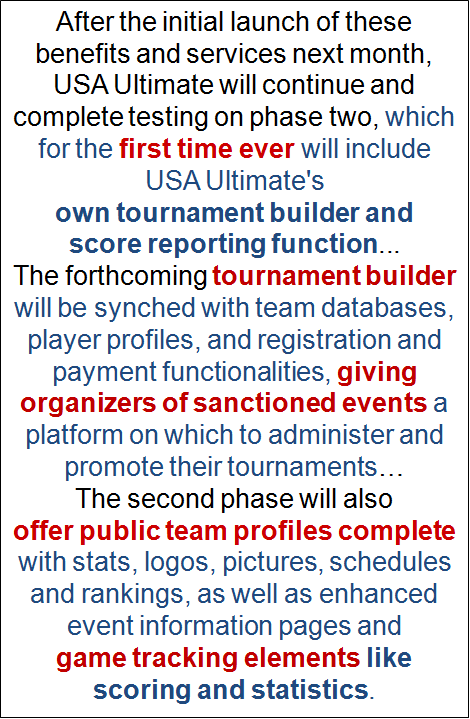 "...After the initial launch of these benefits and services next month (December 2), USA Ultimate will continue and complete testing on phase two, which for the first time ever will include USA Ultimate's own tournament builder and score reporting function. This is one example of a technological component that has never been owned, operated or serviced by the national governing body and is reliant upon a single individual. The forthcoming tournament builder will be synched with team databases, player profiles, and registration and payment functionalities, giving organizers of sanctioned events a platform on which to administer and promote their tournaments. Once phase two is live, the full benefit of the currently planned elements for this new technology platform will be fully realized. A new event management system will integrate team rostering and event registration with public team and event pages. The second phase will also offer public team profiles complete with stats, logos, pictures, schedules and rankings, as well as enhanced event information pages and game tracking elements like scoring and statistics." Hopefully, the upgrade will include excellent visuals for the game tracking elements. 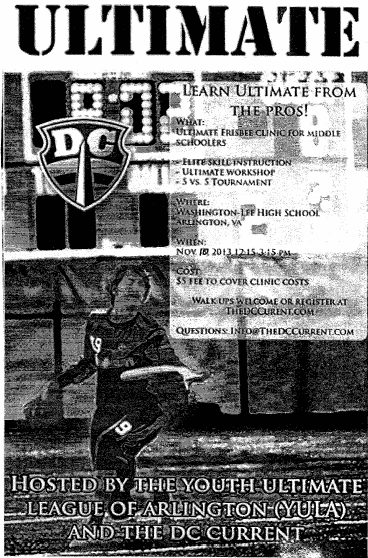 For middle school players (ages 10-14) to learn Ultimate skills from DC Current players. Clinic, plus a 5-vs.-5 mini-tournament. Holy Flying Disc! The online Ulti resource - Skyd Magazine - has been dumping worldwide Ultimate news for THREE YEARS. Now, Skyd seeks to crowdfunding $12k to cover the costs of a website redesign & their 2014 coverage of the Ultimate sport. Sludge already has thrown some cash to support Skyd, so consider all the swag perks when, not if, you support them. So true! Ultimate (aka Flatball) is amazing. 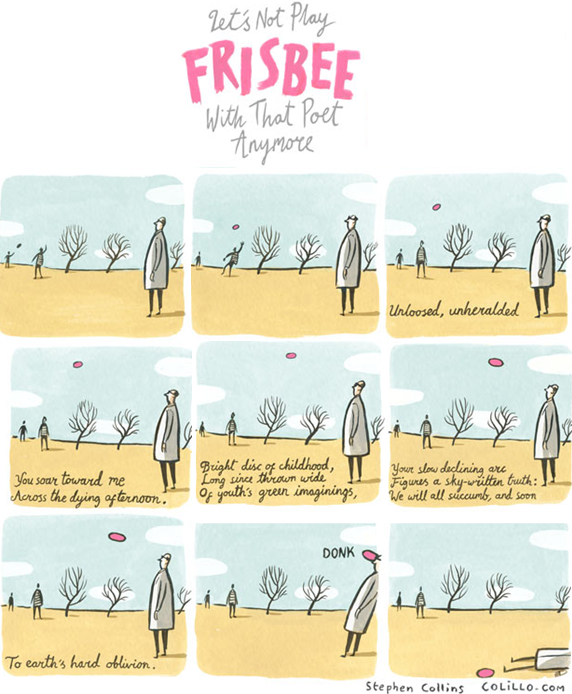 There once was a poem about Ultimate; decades later, a Frisbee poem by a poet. Better than the Honor Roll. 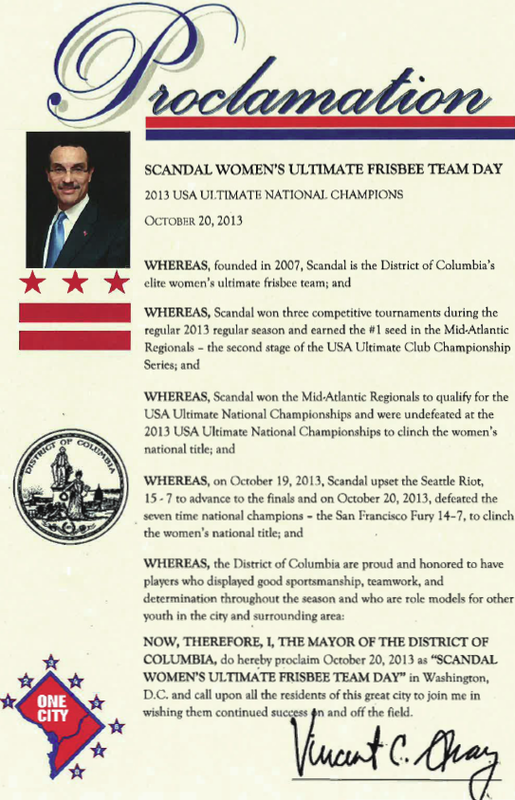 Washington, D.C. Mayor Vincent Gray recognized DC Scandal's 2013 USA Ultimate championship with an official proclamation whereas October 20, 2013 was "Scandal Women's Ultimate Frisbee Team Day" in DC. DC Mayor's proclamation of "Scandal Ultimate Team Day"